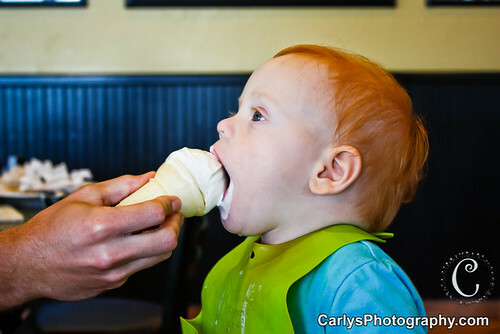 My Life Through My Lens: We let him eat it! So cute! He looks like he is totally loving it! We try and eat pretty healthy but definitely let the boys splurge. 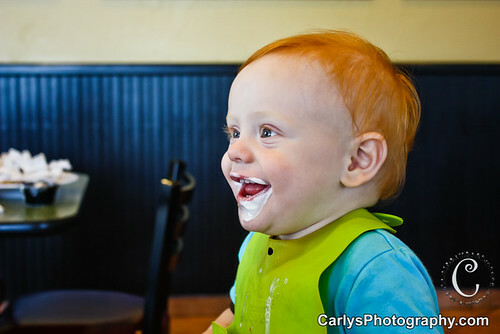 Eli will get to have his first taste of "real" sugar on his 1st birthday next month!